The online food delivery approach is gradually increasing its growth due to the advanced and improved benefits offered to the customers. In an overall survey, it has been declared the food delivery system has acquired an overall growth of about 150 per cent in the year 2016. This shows that the online food delivery system has been grown to a far extent. It has even started to lure certain brands such as Uber which initiated its food delivery application and started to run its service in India. In today’s world, the online food delivery system plays a major role in almost all the areas. Since the technology has grown to a far extent; it is easy for everyone to do anything with the help of e-commerce. Some people are busily engaged in their daily work and they don’t even have time to plan for a shopping and much more. For these types of people, the online food delivery system plays a major role. A lot of food delivery application has been available in the market and people even don’t know which one to use. Here comes iFood application with a lot of attractive features give better benefits to the customer as well as the enterprise persons. iFood online food delivery application plays a major role in assisting customers to a far extent. By simply searching your current location by entering your city and area one can search for restaurants and order their food. Whenever you are hungry or busy with your work, you can make use of this opportunity. With this, you can place orders quickly with less time. iFood comes with a great hope in order to improve the quality of food and the time taken for each delivery. They even peep closely into the market and hence suggest better growth benefits to their service. All this can be achieved with the help of iFood as they treat each order as an ideal one and goes behind the goal of delivery of delivery. Each day they think of executing new ways and plans to offer better experience ranging from the ordering of food to the dish arrival. At first iFood is only supported by the web based application but later on, mobile based version has been brought about which in turn made a huge profit. With the help of iFood application, the customer can easily look at menus, restaurants, and information on all the restaurants that makes it easy for the customer to place an order. Easy to sort items, restaurants, and menu item to see the available restaurants to place quick orders. The customer can search for delivery restaurants, carryout restaurants, and filter using the restaurant’s predicted time of delivery. This is perfect approach when we need food in a hurry and to sort things very quick. Personalizing meal has never been made much simpler like this which lets you pick the size of your meal; choose your favourite drink in a far easy and friendly way. The personalised option lets you save multiple addresses and order quickly from the places you often go. Previous orders have been archived to browse what you had and to remind you of that good food you had on that very nice day last weekend. Are you planning to start a new food delivery business? If you are looking for making business using online food delivery application, we offer you simple ways to obtain huge of profit within the stipulated time. Our cloned script application helps to make your dreams come true with the desired features. FoodGo provides you with a better option to deliver your favourite food items with improved benefit to the users. The most interesting thing to note is that FoodGo can be used in both web and mobile platform. We also give a customised application with your own brand name. Everyone can order their food, at the same time they can go further with the payment options, admin makes extra income from every order, the restaurant gets payment from admin and then delivery staff distributes food to the specified customer. With the help of FoodGo cloned script, one can sign in/sign up to the website in a much simple way. There are even other ways like social media applications by which user can sign in to the application. Customers can quickly place orders of their desired dishes, right from the satisfaction of their choice with the help of web or smartphone developed with the assistance our cloned script. A notification of the food order delivery is offered to the customer, and the expected time for delivery has been mentioned along with that to track orders quickly. The customer can easily manage food and ingredients type from the admin. You can even keep track on them. New people can be integrated to form the admin back end and the supplier orders, payments all can be handled. The Food ordering application lets you filter the order list depending on the type of food, distance and price range. Admin can eventually manage the category by filtering out based on the availability. The customer can search restaurants by using Google navigation menu and they can place an order by observing which restaurant is closer to them. Thus it provides friendly experience to the customers. Soon after the ordering of food, the customer can pay with several modes such as cash on delivery, using credit and debit cards, or use payment gateways. The reviews and feedback stated by the customers can be managed, and based on the reviews step can be taken to improve the quality of the product. 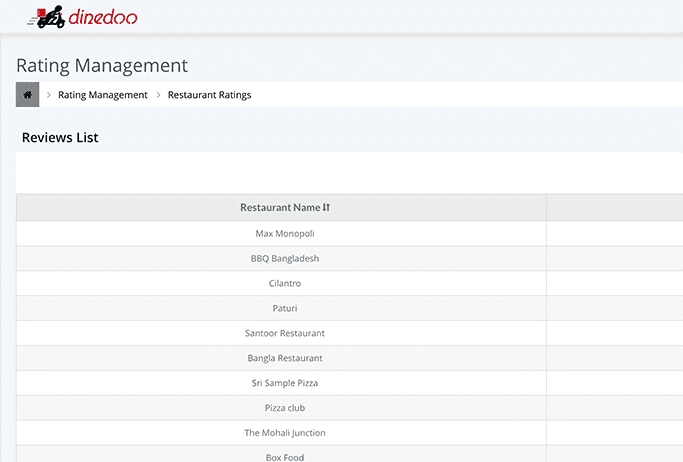 Customers can review the restaurant and they can easily filter out the listed orders depending upon the popularity of the menu, ratings, reviews, and the minimum value order. 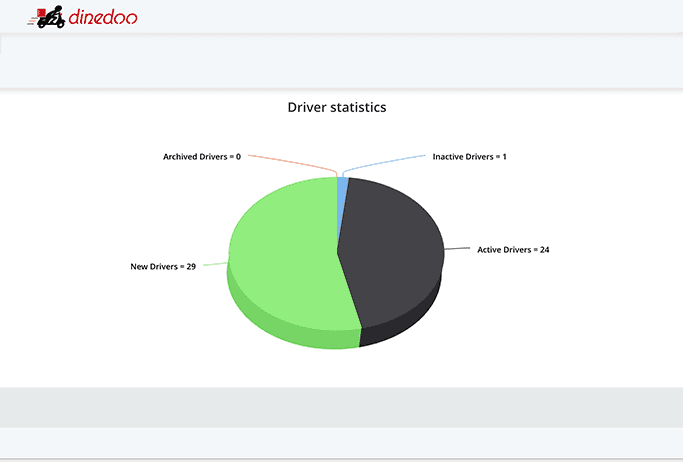 Admin can eventually manage the orders of desired customers and get regular updates on their deliveries. The ordered food is delivered to the address provided by the restaurant. Once the delivery boy delivers the food, the signature is received from customers and notification is sent to the necessary restaurant. As soon as the Delivery staff gets new order notification from the desired restaurant to deliver the food to the respective user's place. The delivery staff renovates the status to the restaurant and also to the customers. The restaurant management controls the order for food that the customer has ordered, to the desired restaurant, in a couple of seconds. Customers can create a profile thus making it user-friendly when they look into it for the very next time. They can even add their favourite restaurants, type of food and can even manage the history of orders by which they can easily place same orders for next time. The required steps are taken to make the food ready with customer satisfaction for the final utilizations by the desired customer. Customers have the several options with which they can choose the delivery type either by pickup or delivery of both enclosed with the date, time, and menu options. If you plan to go to a restaurant with your friends and family, then coupon code will be helpful to you to get better discounts for more number of orders. With the improved tendency in the online shopping place, a lot of websites come up with attractive features and coupons for food to make it more beneficial to the customers. Thus most of the restaurants offer food coupon to lure more customers. It even provides better benefits to the restaurant owners to boost their sale. Better the price better the customers will be in visiting the restaurant. Coupons are really helpful for the customer to save their precious money. Using our App; the customer can easily place orders and get the desired food delivered at the correct time as we value customer’s satisfaction. They can even save time and money using our cloned script application. One can enjoy your favourite food by experiencing fast delivery through Foodgo script application. Enterprise people who are likely to make some revenue can be well benefited using our cloned script. A lot of attractive feature makes it easy for the customer to stick on with the application in a much simple way. Thus better quality, better price and desired time make this application more reliable to the customers giving user-friendly experience.